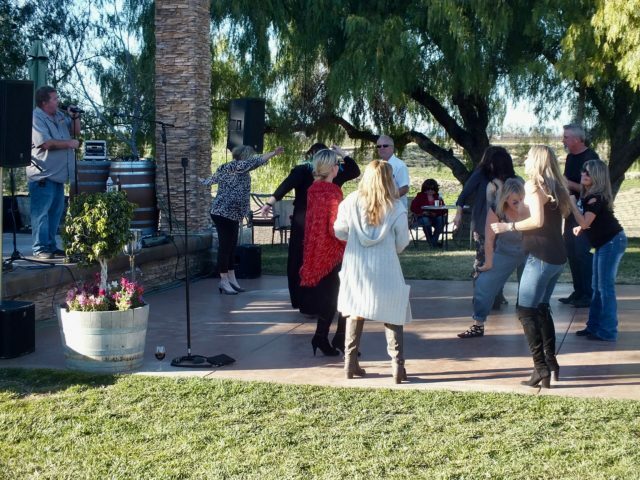 Dancing at Bel Vino Winery. Photo by Ed Simon for The Los Angeles Beat. Classic truck at Chapin vineyards. Photo by Ed Simon for The Los Angeles Beat. Entrance to Fazeli Winery. Photo by Ed Simon for The Los Angeles Beat.